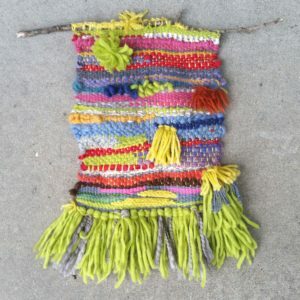 Bring your young ‘un age 5+ and you’ll learn weaving basics together in this super-fun class with Leigh of @leigh_jacobs_art! 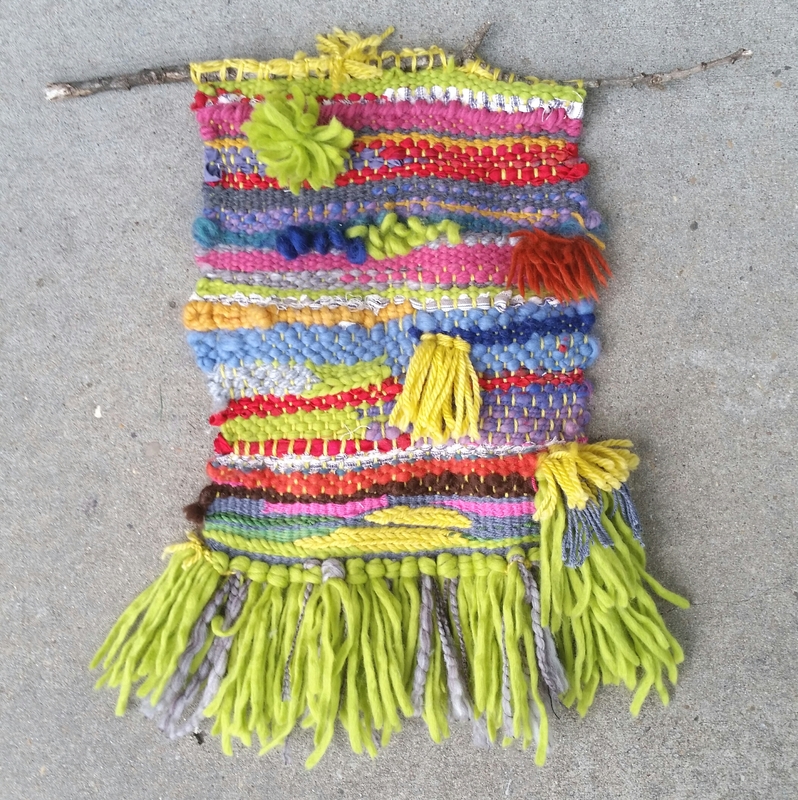 Participants will start (and hopefully complete) a small, colorful tapestry weaving incorporating basic weaving, knotting, and looping. Leigh will also demonstrate a clasped weft. Leigh will show students how to transfer their weaving to a neat stick for display, if desired. If you have a small loom or special yarns, feel free to bring them to class. Upcycled picture-frame looms will be available along with various yarns included in the materials fee. Recommendations for loom purchases will be available if you would like to keep on weaving! Class fee is $50. A materials fee of $15 will be due to teacher at time of class.